E.O. Wilson cabin rental at Wellnesste in Central New York. A beautiful cabin rental on 60 private acres in Central New York. Full kitchen, bath & more. Ideal lodging for individuals and families in NY. Wilson's Cabin at Wellnesste Lodge in New York State. Rustic charm with woodstove & modern amenities in CNY. Wilson's cozy cabin rental at Wellnesste Lodge in Upstate NY. Rustic decor with modern amenities in Wilson's Cabin at Wellnesste Lodge. Come relax in your very own private cabin getaway in Upstate NY. Wilson's cabin is perfect for individuals, couples and families. A private cabin rental at Wellnesste Lodge. Wilson's cabin rental near the Tug Hill and the Adironacks. Wellnesste Lodge offers 60 private acres with over 1/2 mile of river frontage. Cozy cabin rentals for individuals and groups alike. Come enjoy the outdoor and your very own little cabin rental in Upstate NY. 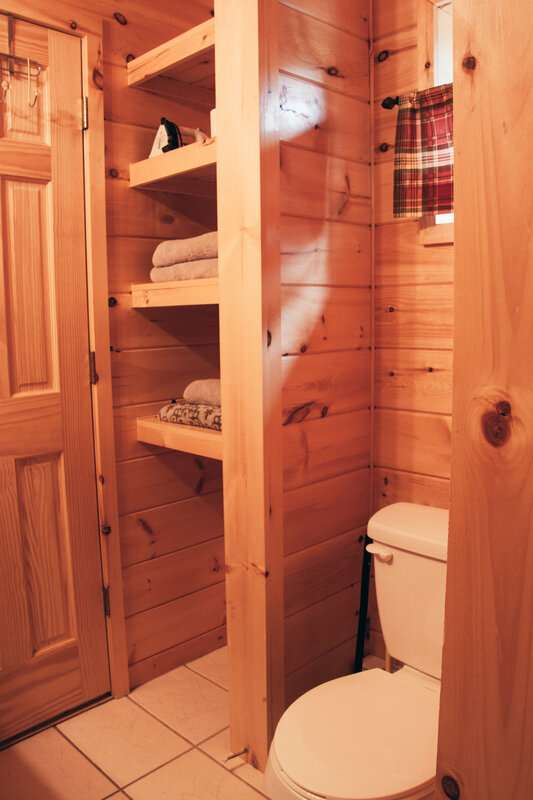 The Wilson Cabin at Wellnesste Lodge offers a cozy setting with modern kitchen, bathroom and more! Wellnesste Lodge's cabin rentals are comfortable, clean and affordable. For vacations, retreats and weddings alike, Wilson's cabin is a beautiful little gem set on 60 acres in Upstate NY. Come enjoy Central NY at Wellnesste Lodge. Outdoor adventure, hiking, swimming, fishing and more are all nearby at Wellnesste Lodge and cabin rentals. Come enjoy Wellnesste Lodge and our private 60 acre estate with cozy cabin rentals, hiking trails and over 1/2 mile of river frontage. A slice of country heaven, this gem is perfect for couples and groups alike. All on 60 acres at Wellnesste Lodge. Cabin rentals in all seasons. Wilsons cabin at Wellnesste Lodge. 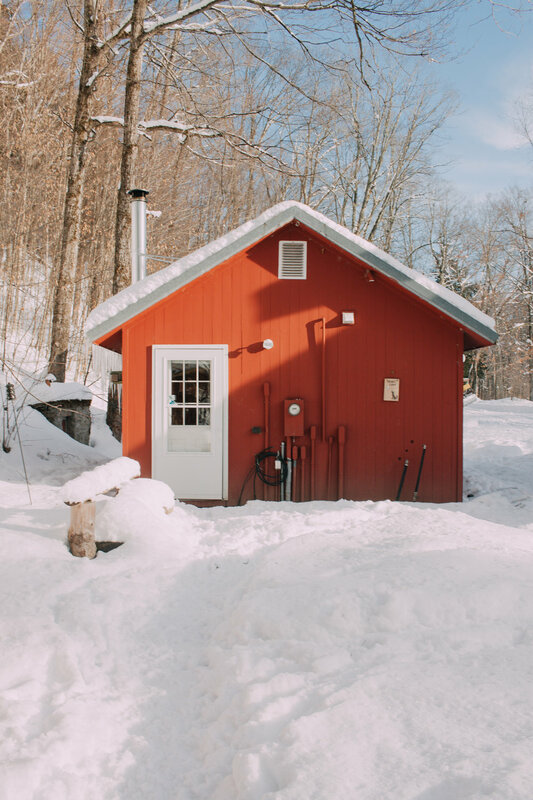 Spring, Summer, Fall or Winter... at Wellnesste Lodge in Upstate NY you can enjoy a private cabin rental to enjoy your well deserved vacation. Built in 2014 and named after American Professor and Biologist E.O. Wilson who wrote the book “The Future of Life”. Professor Wilson and his book were major inspirations to Wellnesste founder Christophe Marin as he planned for the protection of Wellnesste’s nearly 60 acres of bio-diverse land and water resources. Wilson’s cabin is quaint and cozy with exposed hand-hewed log woodwork and a beautiful river rock fireplace mantel & woodstove! This little beauty has many unique touches including hickory hardwood floors, hickory cabinets and a beauty of a kitchen so you can fix all of your own meals easily during your vacation getaway! 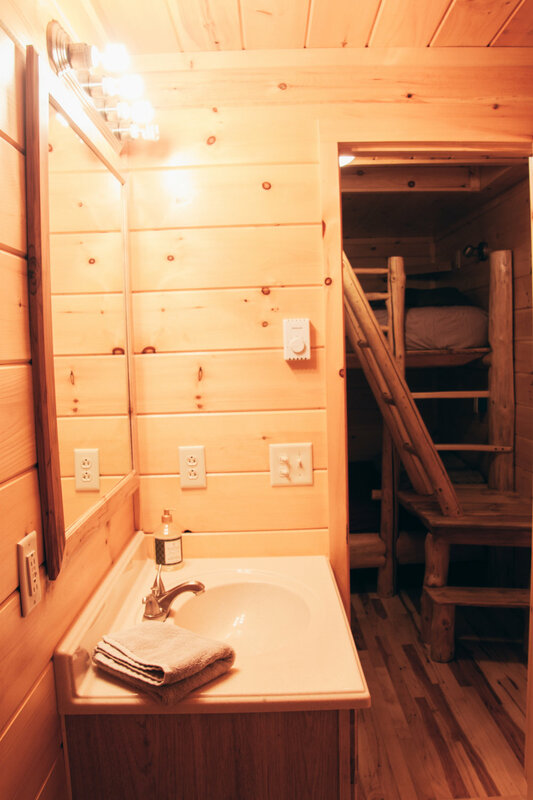 Wilson’s cabin includes Norwegian Spruce queen bunk-beds and a loft area too so you can accommodate up to 6 people. The ladder to the loft is moderate in height and width so the loft is best for kids and smaller adults. The bathroom is spacious with a full shower and the usual amenities. Amenities: This cabin is equipped with a full bath (shower only), and full kitchen including a stovetop, oven, microwave, and fridge. It also includes a stone fireplace, two bulit in queen size beds, and a loft with a queen sized mattress. Please click here to see our online calendar for rates and availability. Rates based on two guests. $20 each add'l guest over 5yo.